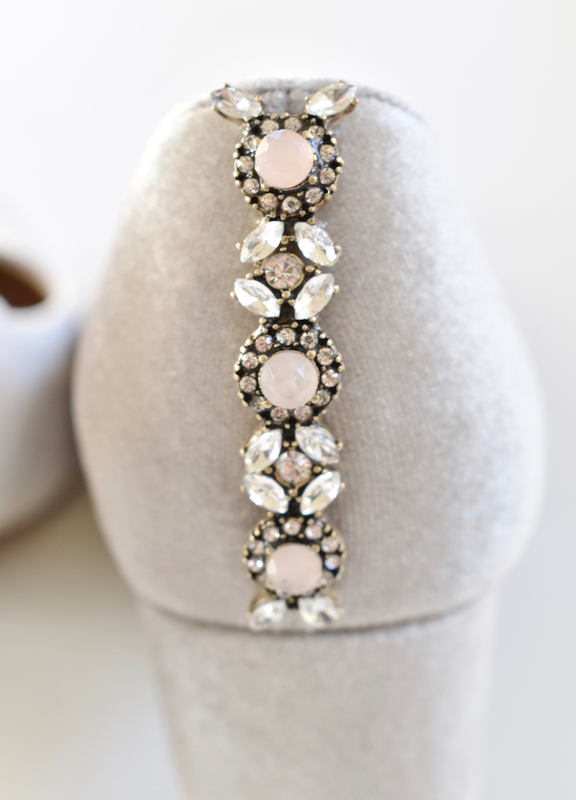 When it comes to holiday fashion, I love everything that sparkles and shines! I love glitter and sparkle year-round, but throughout the holiday season, it’s on my essentials list. Every season I see beautiful embellished shoes on the store racks, and my heart yearns for a pair. 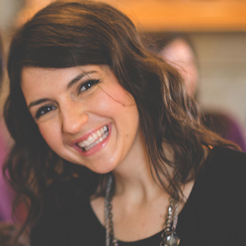 But, just like so many other moms; I am a mom on a budget, and sparkly shoes just aren’t a justifiable purchase, or a staple in my everyday wardrobe. 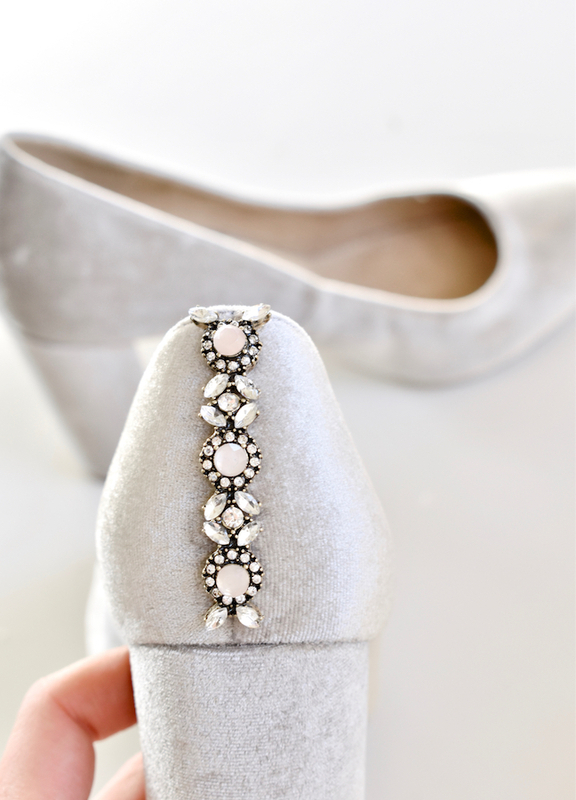 When there is a will, there is a way, and I found an affordable way to DIY embellished shoes (velvet heels), so I can have a little extra sparkle in my step this holiday season! 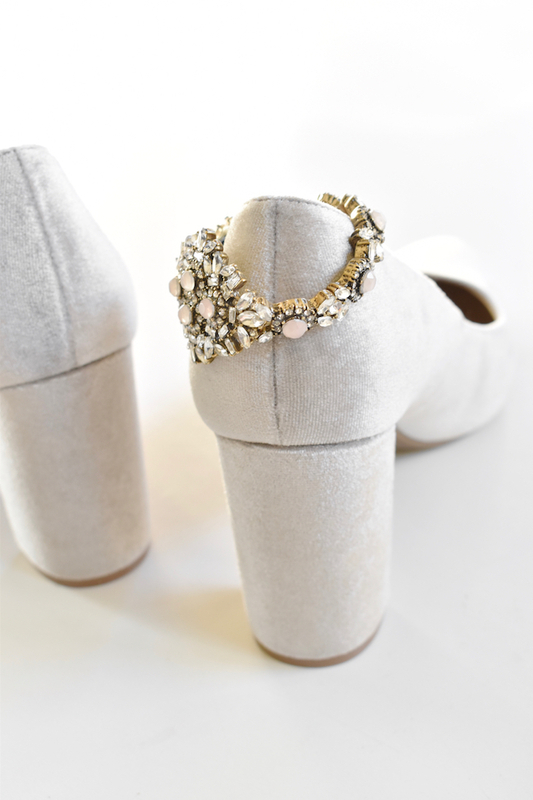 Add a little glamour to your life, and follow the two simple steps below to create fabulous DIY embellished heels. Step 1: Find a pair of affordable velvet or suede heels. There are some cute women’s heel options at Target, Old Navy and Gap. I bought my heels at Old Navy with an extra 30% off coupon. Score! 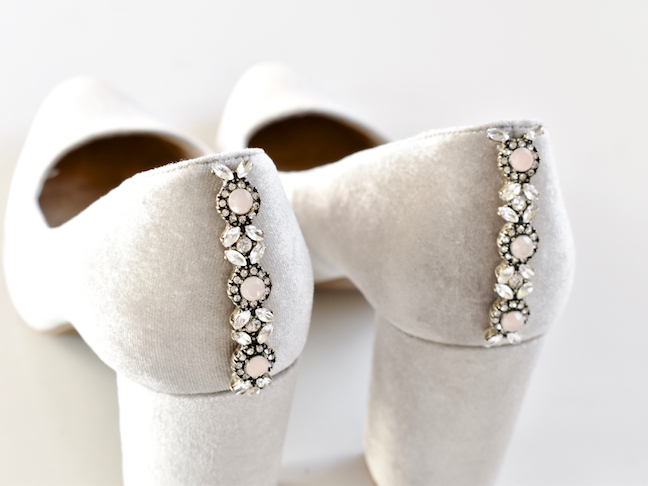 Shop for a pair of vintage earrings, brooches or bracelets online at Etsy, or at a local jewelry store. You can also shop your own jewelry box for pieces that are collecting dust. I found my bracelet at a local consignment store. Step 2: Add dabs of E-6000 glue to the back of the jewelry, and press it on to the back of the heel. If you have a clamp, or a way to hold the jewelry in place until it fully dries, it’s very helpful. Continue until all the jewelry is in place. Wait a full 72 hours until you wear the shoes, so the glue reaches it’s maximum effectiveness. This holiday season, I hope you leave a little sparkle wherever you go.